We are involved in manufacturing, exporting and supplying of a wide range of Hardness Testers that is made with premium quality raw material, which is procured from the trusted vendors of the industry. Our clients widely appreciate these testers for their exceptional quality, durability, accuracy, high performances and long service life. We offer our range in different sizes, designs and models, which can be customized as per the requirement of our clients. With the help of our experts we offer a huge gamut range of Package Hardness Tester which is fabricated by using premium quality materials. This instrument is used to determine the hardness for yarn bobbins, warp beams etc. The spring loaded outer ring assures a constant measuring pressure and eliminates false readings due to difference between operators. These testers have a ball shaped indentation body that eliminates the chances of any kind of damage to bobbins and warp beams. We also offer these to our clients at affordable prices. Our esteemed clients can avail from us an exclusive range of Digital Shore Hardness Tester. These are available in custom sizes and can be availed at reasonable prices. 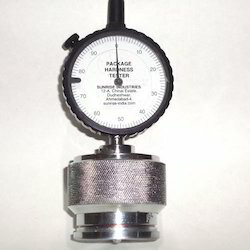 These shore hardness testers with long lower part are manufactured using quality material at our vendor’s facility. We also endeavour to satisfy our clients spread worldwide by offering our range of shore hardness tester as per the designs and specifications of our clients. 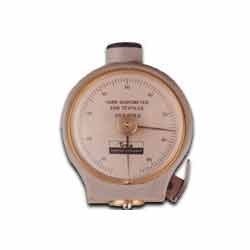 We are indulged in manufacturing, exporting and supplying a wide range of Rubber Hardness Tester. These are widely appreciated by the clients due to their durability, reliability, easy operations and accuracy. These hardness testers are designed and developed in line with the prevailing trend and standards of the industry. We provide these services to our respected clients at reasonable prices in the market. Check Gauge : 25, 50 & 75 Shore-A nos. We are leading manufacturer and supplier of Electronic Yarn Twist Tester. 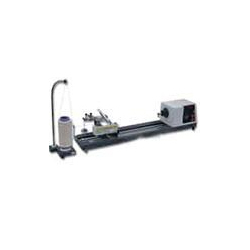 This series of testers is used for accurate measurement of twist per meter or twist per inch of the twisted yarn. Our ranges of products are available in various sizes and models as per the clients’ requirements. Our ranges of twist testers are available at reasonable prices in the market. Highly Reliable, Easy to use, Automatic, Full Digital and Electronic and including Yarn Package Holder and Tensioner. For accurately measurement of single and ply yarns twist. Electronic variable speed control (by a DC Motor) for twisting-untwisting speed to handle varying yarns characteristics (0-4000 turns/min). Adjustable to 500mm test lengths. Automatic untwist- retwist testing method. Reset table test numbers digital counter up to 99. S or Z twists direction display. Start (zero) point setting indication by audible and visual alarms. Accurate Yarn tension under international standards. We are one of the most prominent manufacturers and suppliers of the Shore Hardness Tester, these are designed to measure the penetration hardness of rubber, other rubber like materials such as neoprene, silicone, vinyl, soft plastics, felt, leather & similar materials. These products are manufactured using optimum quality raw material. We offer these materials at varying technical specification that can be availed by the customers according to their needs. These are offered in the market at affordable prices. A precision instrument for testing the winding density of textile cones, bobbins, quills and package dyeing tubes. The indentor tip is either a 3/32"(2.5 mm) or 5.0 mm is spherical depending upon the winding density. 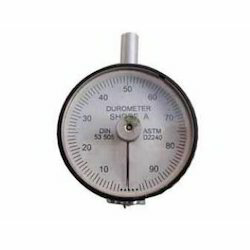 Round type analog Durometers have a dial graduated from 0 to 90 spread across 360 degrees thereby making it easily readable and accurate in measured values. 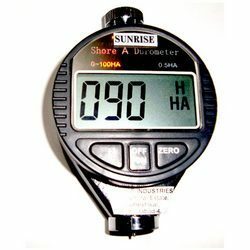 The circular Durometers are provided with a maximum indicating hand for determination of creep properties of materials under test. Model : DYT - GOLD.